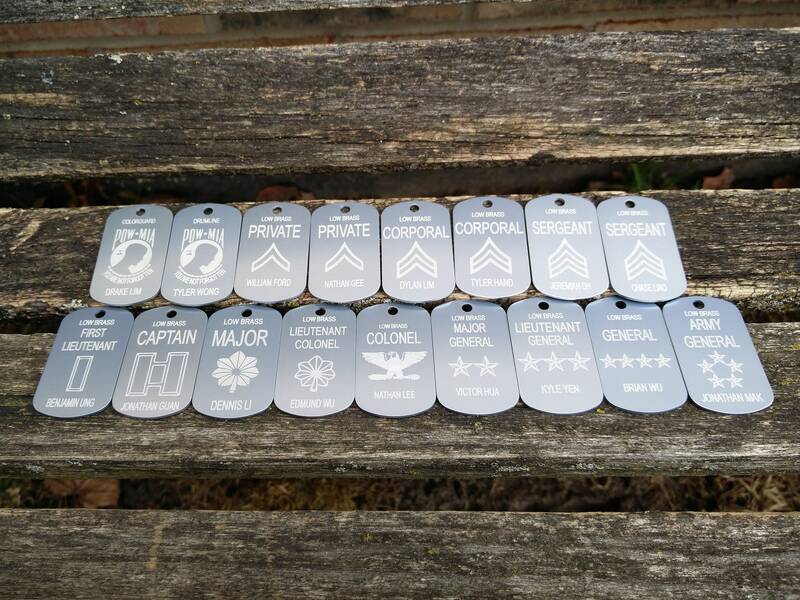 Custom Dog Tags. CHOOSE YOUR DESIGN & Color. Laser Engraved. Wedding. Favor. Gift. Military. Business Logo. School. Custom Orders Welcome. 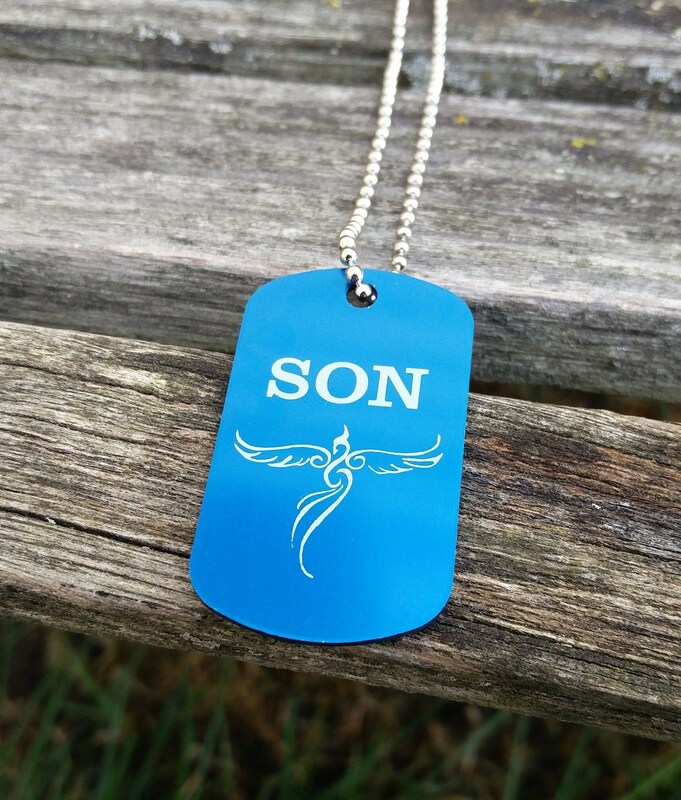 These custom dog tags can be customized with whatever you want. 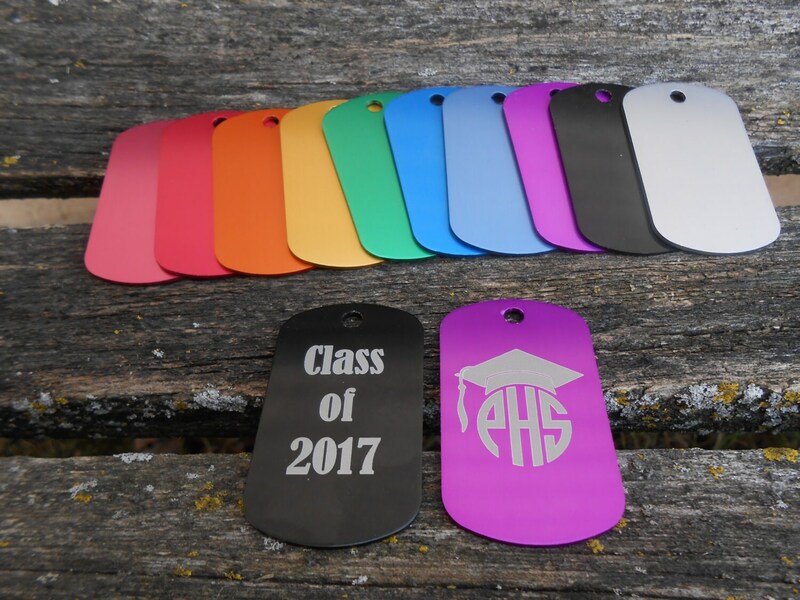 They are made from anodized aluminum and come in 11 colors. 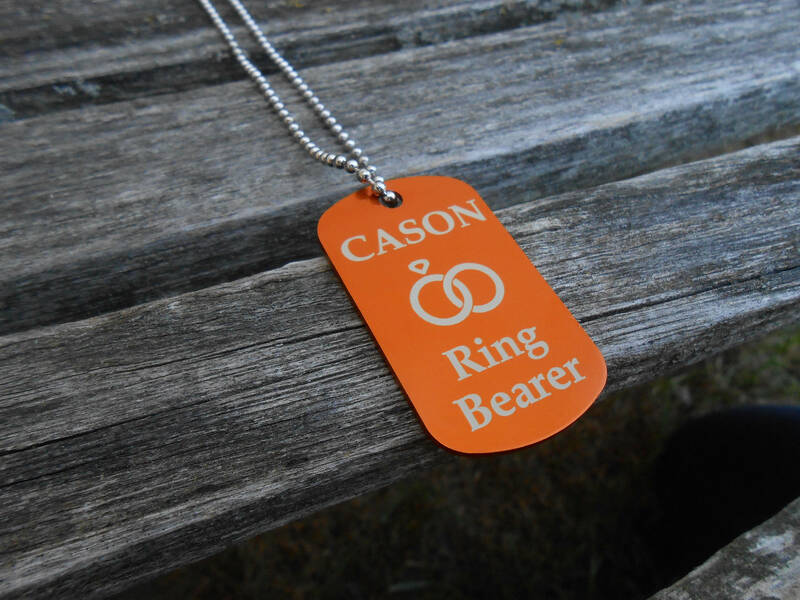 The tag is laser engraved, which lasts a lot longer than decal stickers. 1. 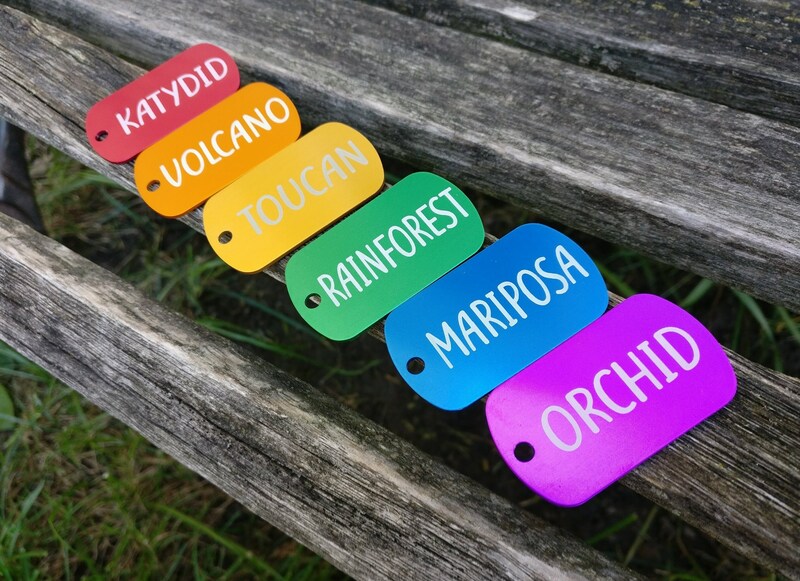 From the drop-down menus on the right, SELECT the number of tags you want and if you want just the tag or if you want a keychain or necklace included. (If you want a mix of rings and chains, leave a note). DO NOT USE THE QUANTITY MENU TO SELECT THE AMOUNT YOU WANT!! 2. SELECT whether you want engravings on ONE SIDE or BOTH SIDES. 3. Leave a message with what you want the tag to say. 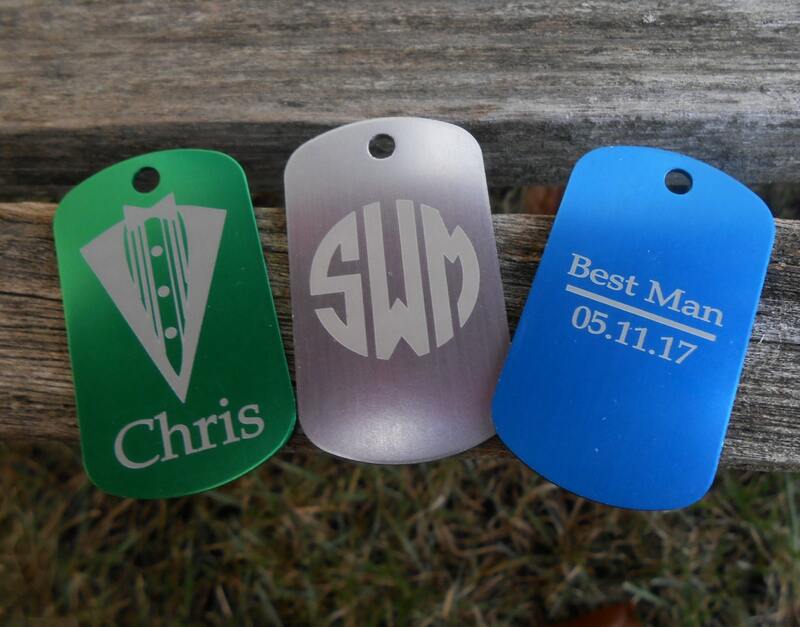 If you want us to engrave a logo, please send it to us in a message. 4. 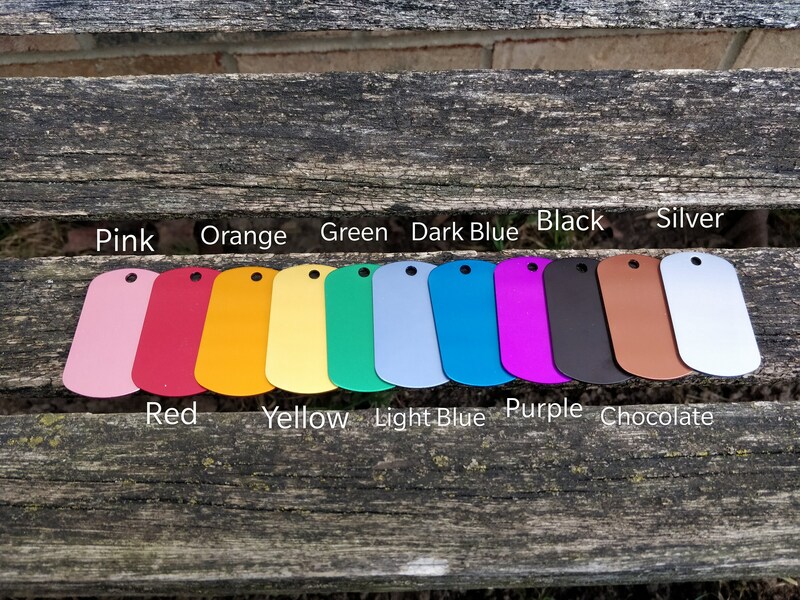 Let us know what colors you want and how many of each. Colors are: Pink, Red, Orange, Yellow, Green, Light Blue, Blue, Purple, Chocolate, Black, & Silver. 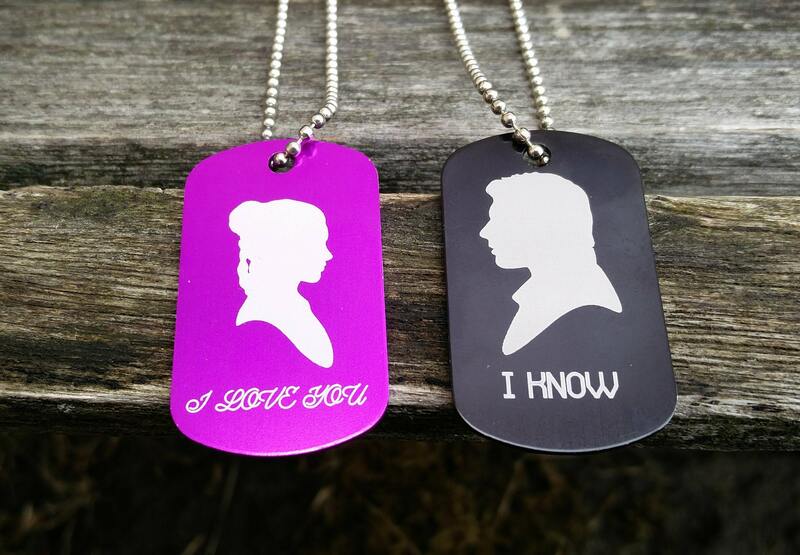 These are wonderful to give as gifts, to use as wedding favors, for stocking stuffers, or kid's parties! 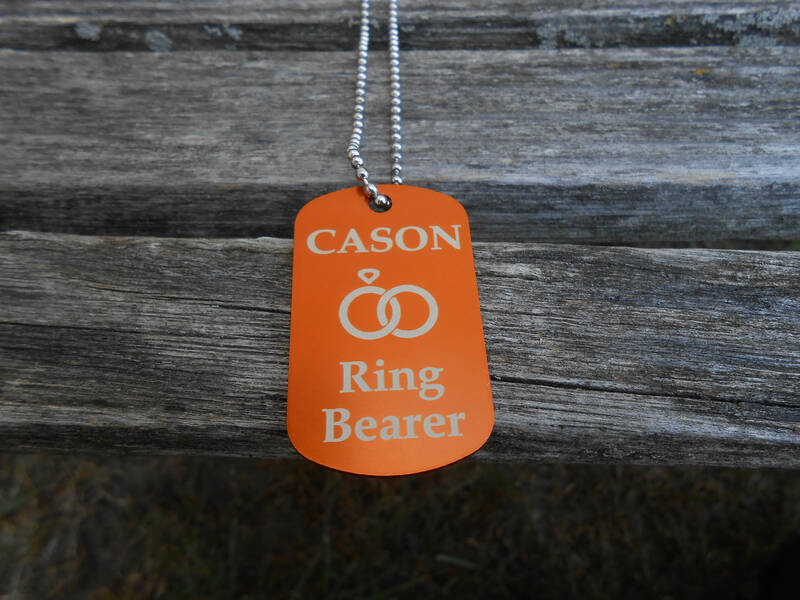 We can engrave anything you want, just ask. 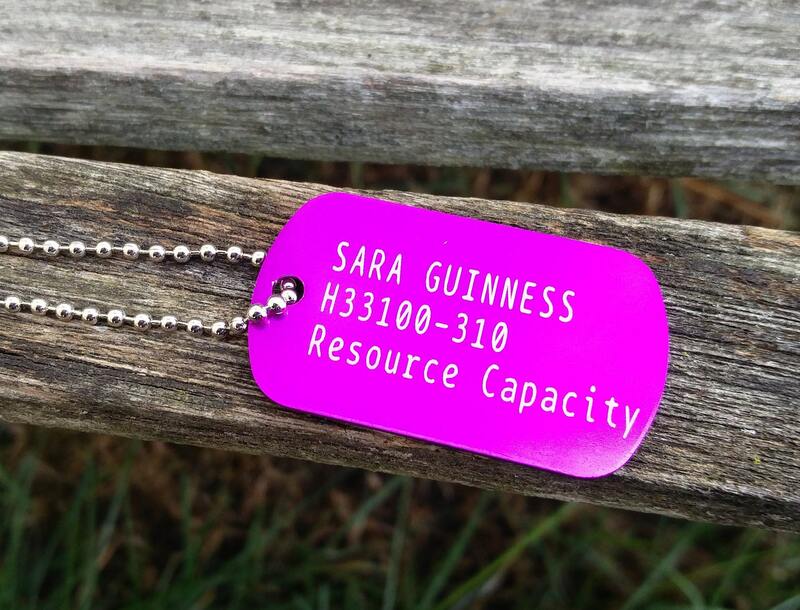 • Tag Size 2" x 1.15"
• Personalized items are non-refundable.